The WIG Christmas Fair will be held at the Canadian International School at Koh Pich (Diamond Island) on Sunday 24th November from 9am to 5pm. There will be hundreds of different displays; from Christmas decorations, vendors selling a wide range of gift ideas and themed apparel through to local crafts and much more. There will be a variety of food caterers selling delicious snacks, meals and treats for all the family. Of course our famous raffle will be again a major drawcard, as we will have hundreds of amazing prizes on offer. The Fair will include a children's play area with games, activities, face painting, clowns and Santa! We are looking for sponsors! Please contact us for more information on sponsorship opportunities. 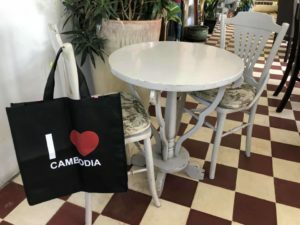 Follow us on Facebook @wigphnompenh for updates and event information. Please click here to check out our "Christmas Fair 2017" photo album on Facebook. CIS will again host the Christmas Fair on Sunday 24th November 2019. 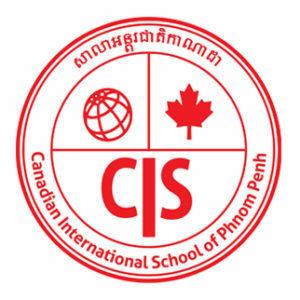 With 3 campuses in Phnom Penh, CIS offers a fully accredited Canadian curriculum. Students who graduate from Canadian accredited schools are accepted into universities worldwide. We are working hard to make the Christmas Fair a plastic-free event. WIG will be selling “I CAMBODIA” reusable bags made from recycled material for $1 each for your Christmas shopping convenience, near the entrance ticket area. They are cute and practical, and we hope you will love them as much as we do!